It’s been a while since I’ve posted something, but I’ve had some misses with my Christmas knitting. I made a Jared Flood hat, Windschief, for my older brother, that didn’t turn out right. Then I made a pair of Nora’s Slippers for my twin brother that I ended up just keeping for me because they will never fit his feet. So I was getting discouraged but then I started these hats for my brothers and each one came out great. 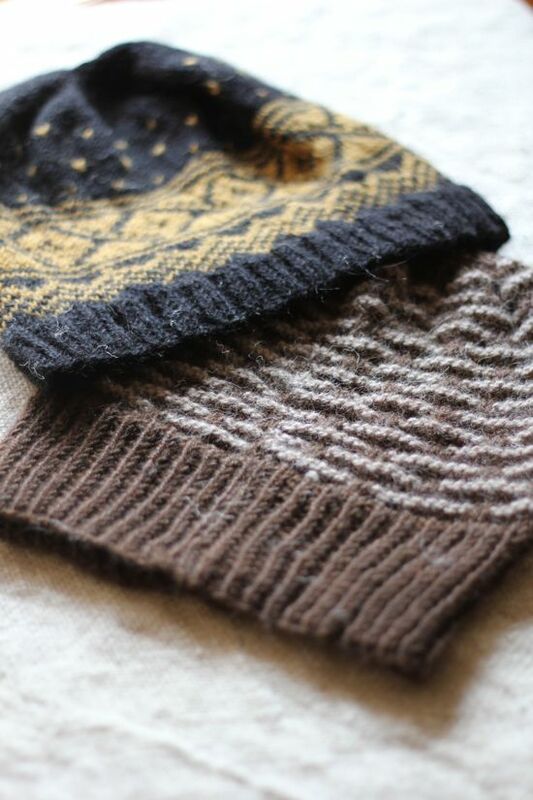 It’s funny – one of the patterns had a total of only two people on Ravelry knitting it! 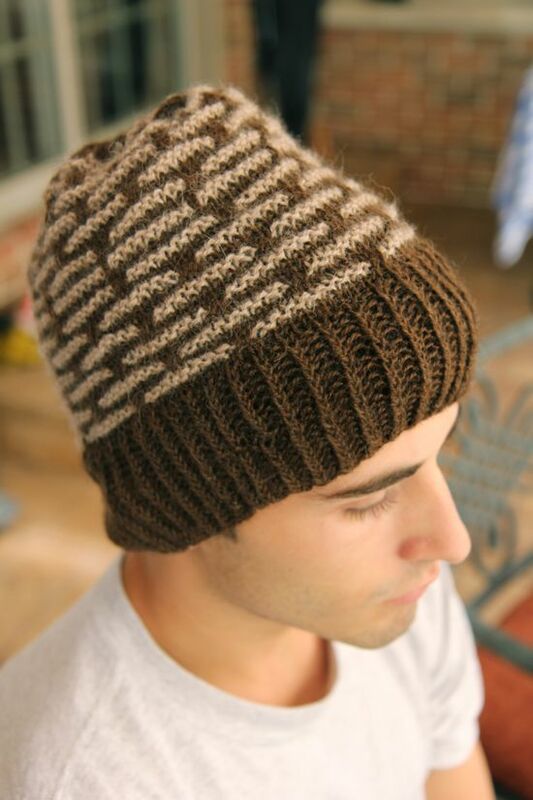 And it’s a great hat pattern! There are some hidden gems in Ravelry, aren’t there? 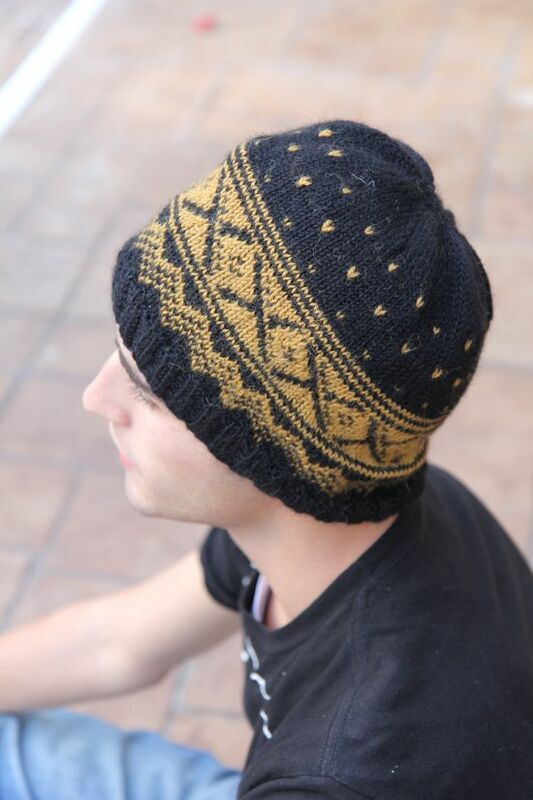 The hat I’m talking about is a Norwegian hat from Drops Design. It calls for a DK weight yarn, so I used my beloved Berroco Alpaca Light. It was a totally fun knit with just enough interest but didn’t required your total attention. I knitted it on circulars, using Magic Loop. 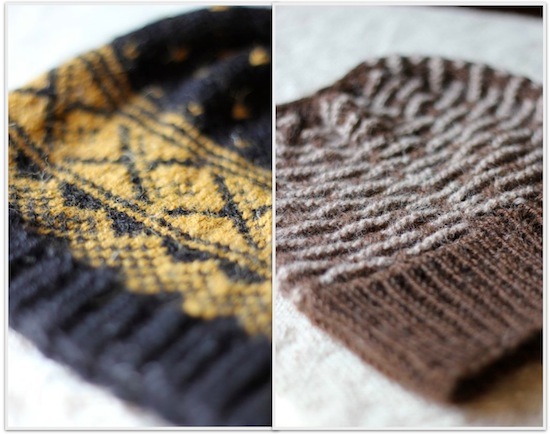 The other hat is called a Raupe hat and was designed by a knitter in Austria. I guess “raupe” means “caterpillar” in German and the hat is named that because it looks like caterpillars crawling around the hat. Hmmm. I wonder if I should tell my brother that little tidbit.